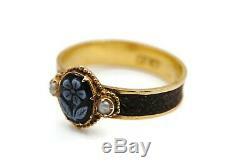 Victorian 15ct Gold Mourning Ring With Carved Sardonyx, Pearls and Woven Hair Ring, UK size O. 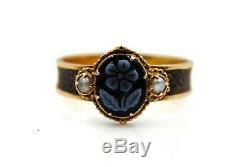 A 15 carat gold Victorian mourning ring with a carved sardonyx forget-me-not and two pearls. The woven hair of the original owner's loved one is set into the band. 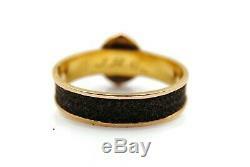 The face of the ring measures 0.4 cms (5/16 of an inch) high. The inside of the ring is engraved with the monogram J. 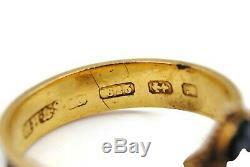 And is hallmarked 15 carat gold, the date mark is too rubbed to make out. In good used condition, the hair is still intact. 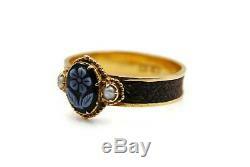 The item "Victorian 15ct Gold Mourning Hair Ring With Carved Sardonyx, size O" is in sale since Sunday, March 24, 2019. 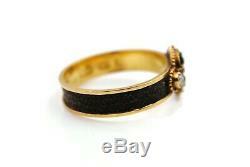 This item is in the category "Jewellery & Watches\Vintage & Antique Jewellery\Vintage Fine Jewellery\Victorian (1837-1901)". 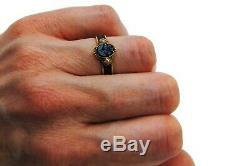 The seller is "coatlique" and is located in Brighton. This item can be shipped worldwide.